The first northeast operating unit’s Women’s Emergency medicine Leadership Forum will take place Nov. 7 in Parsippany, New Jersey. Event coordinator Lynn Reyman, M.D., Chair of Practice Affairs Committee for Envision Physician Services, wants the event to empower more women physicians into leadership roles. Dr. Reyman said the forum is part of a larger initiative within Envision to promote women into leadership. 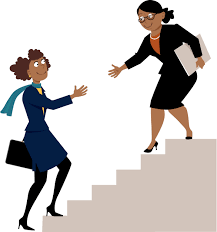 Encouraging women to grow professionally by continuing their education, she said, is the key to promoting and retaining women in leadership roles. Dr. Reyman worked with Lori Feldman, VP of Human resources for Envision Physician Services, to plan and organize the initial leadership forum. Eventually, she hopes to expand the conferences throughout the country in multiple service lines. Dr. Reyman will speak at the forum about navigating a pathway to success, and Lori will speak about emotional intelligence and leadership. Other speakers include Dara Kass M.D., founder of FeminEM, Douglas Smith, M.D., SVP of the northeast operating unit, and John Bertolini, M.D., Executive VP of the northeast operating unit. Dr. Reyman said the response from women physicians has been significant. The event filled up quickly with interested attendees, and many asked her to expand these forums for other service lines.